Trustworthy information, straight from the source. Education is the first step in an empowering healthcare plan. Learn more about lung cancer, from prevention to diagnosis and treatment. Lung cancer usually starts in the cells that line the inside of the lungs. The two basic types of lung cancer are non-small cell lung cancer and small cell lung cancer. A diagnosis of lung cancer can be frightening and overwhelming. North Memorial Health offers customers with lung cancer and their families a comprehensive, coordinated approach to care. Our healthcare professionals are experienced specialists in lung cancer management. They work closely together to share information about each customer’s condition and collaborate on a personal treatment plan. Quit smoking. Quitting will help reduce your risk. Meet with your healthcare provider to support on ways to stop smoking. Options include nicotine replacement products, medications and support groups. Eliminate secondhand smoke. Avoid areas where people are smoking and if you live or work with someone that does smoke, encourage them to either quit or smoke in an area that is outside and away from you. Eat Healthy. Choose a diet that is rich with fruits and vegetables. Exercise. It’s never too late to start exercising. Listen to your body and try to exercise three to five days per week. Avoid carcinogens at work. Protect yourself from exposure to toxic chemicals at work. Become familiar with your employee’s safety precautions and follow them. Test your home for radon. Have the radon levels in your home checked. For information on radon testing, contact your local department of public health. For customers with advanced non-small cell lung cancer, current treatments do not cure the cancer. The treatment that’s right for you depends mainly on the type and stage of lung cancer. You may receive more than one type of treatment. 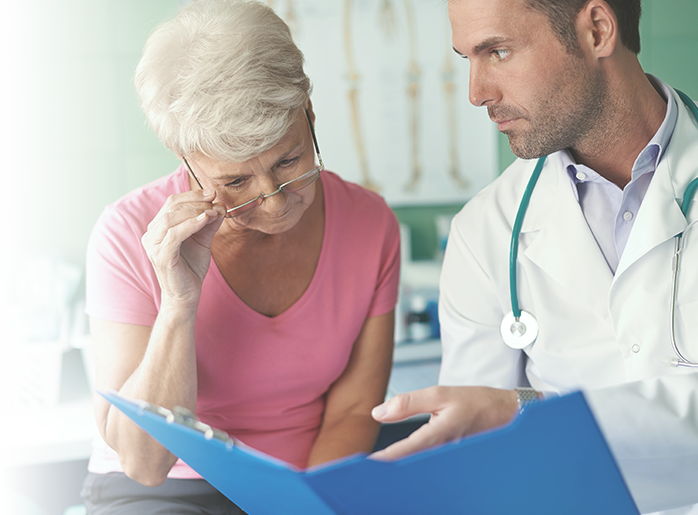 What providers will you work with to develop your care plan and manage your diagnosis? The lung cancer health care team consists of physicians, nurses and other healthcare professionals who specialize in the unique needs of lung cancer patients. Each customer’s healthcare team may include primary care providers, pulmonologists, thoracic surgeons, medical oncologists, radiation oncologists, pathologists, radiologists and clinical nurse specialists. You suddenly feel lightheaded or are short of breath. Your lips or nails look blue or pale. When should you contact your provider? You have blood in your mucus or spit.